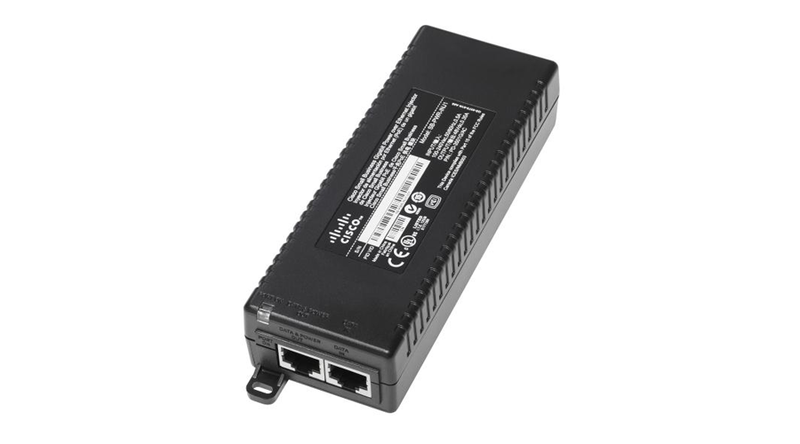 The Cisco Small Business High Power Gigabit Power over Ethernet Injector allows flexible installation of Cisco Small Business Wireless Access Points by providing an alternative to external DC power when deploying a Power over Ethernet (PoE) switch is not an option. Gigabit Ethernet ports provide high-speed connectivity to the LAN. By combining data and power over a single Cat5e or better cable, the injector offer up to 30w output power to power remote devices that required additional power, such as new access points, IP phones and advance IP cameras.